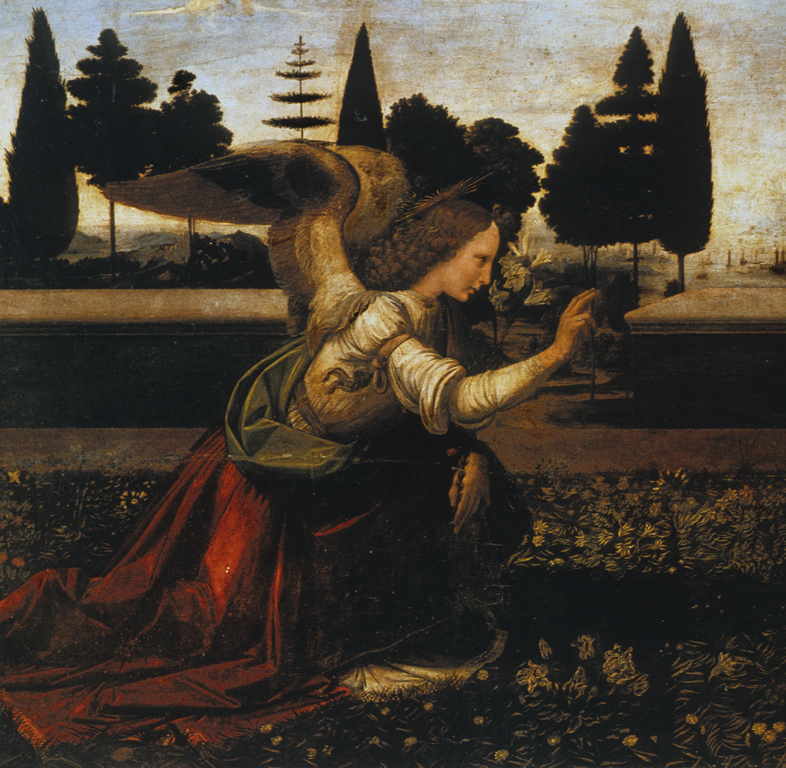 The Annunciation is the earliest painting that can be attributed to Leonardo. It came to the Uffizi in 1867, from the monastery of San Bartolomeo of Monteoliveto, near Florence. It can be seen as an assemblage of motifs from Leonardo's earliest experiences of Florentine art. The influence of Verrocchio is paramount, particularly in the antique-style pedestal of the Virgin’s reading-desk and emphatically sculptural draperies. The depiction of the plants, including the Angel’s lily, and the blue haze of the distant mountains indicate that Netherlandish art was already an important source of inspiration. Leonardo da Vinci (Italian painter, 1452-1519), “Annunciation,” Institute Images Online, accessed April 24, 2019, http://westerncivart.com/items/show/2899.